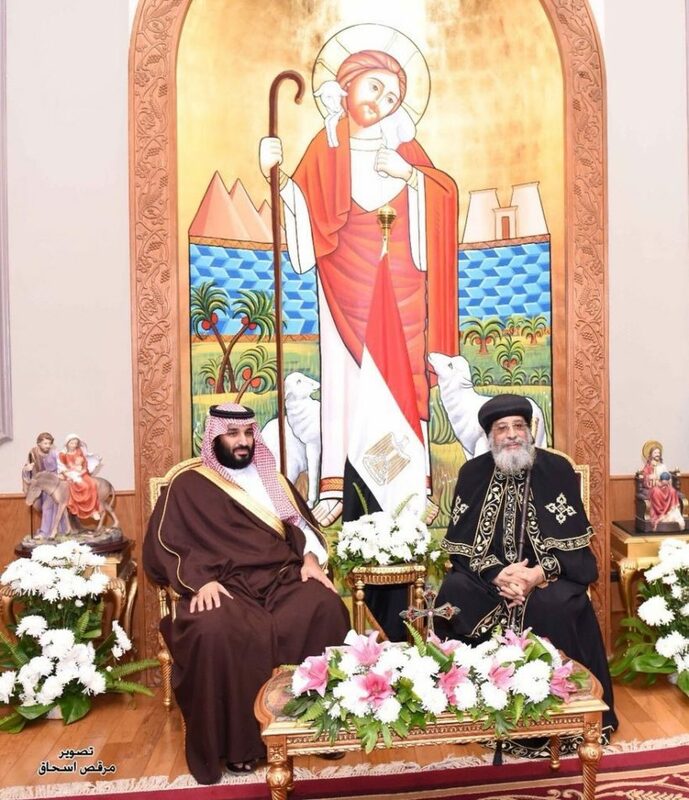 This picture, with MbS under a picture of Jesus and meeting with the Coptic pope, is a potent symbol of where the winds are blowing in the former home and treasurer of the Islamist movement. The mainstream media have little interest in extolling the world-historical transition underway in the nation that is pre-eminent in Sunni Islam, the Guardian of the Holy Cities of Mecca and Medina, and which has been the moneybags for radical jihadists for three generations. 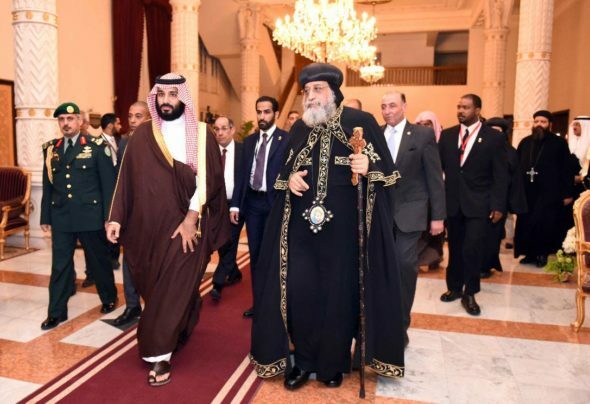 The visit to Al-Azhar is crucial. Simply stated, MBS is seeking to defang Muslim extremists who seek to destroy Christianity in Arab- and Muslim-majority countries. Garnering support from the most respected source of Islamic scholarship (no doubt accompanied by the offer of funds from the Saudi treasury) is the carrot to be used in persuading Wahhabi clergy to change their preaching, with the denial of Saudi funds to recalcitrant advocates of armed jihad supplying the stick. This new city, called Neom, will be built at the top of the Red Sea, where Egypt’s, Israel’s, Jordan’s, and Saudi Arabia’s borders meet. It is planned to be a free city or open city, where Saudis can live a fully modern 21st-century life, freed of Islamic religious regulations that will be gradually relaxed elsewhere in the kingdom. In addition, nationals from Jordan, Egypt, and Israel can enter and work there in planned high-technology investments. Its isolation from the rest of Saudi Arabia will allow it to be different and to become a magnet for Saudis – males and females – who wish the free of the shackles of pious Muslim life. Saudi Arabia’s Crown Prince Mohammed bin Salman with Pope Tawadros II in Cairo, Egypt. 2. During a conference in October 2017, Saudi Arabia’s crown prince vowed to destroy “extremist ideologies” in a bid to return to “a more moderate Islam.” Speaking at the Future Investment Initiative conference in Riyadh, Crown Prince Mohammed bin Salman said the moves will put the kingdom in lockstep with many other nations as it seeks to transform its economy over the coming decades. “We want to lead normal lives, lives where our religion and our traditions translate into tolerance, so that we coexist with the world and become part of the development of the world.” What is your reaction to MBS’ statements? – Do you think Saudi Arabia will ever be a country that allows Christians (and women) the same rights as Muslim men? Explain your answer.